On perhaps the sunniest day in British history, Horton Community Farm gave a presentation of their work in Bradford while introducing their new project, Grow Your Own Curry. This project was inspired by work in Mallorca, where a group of motivated forward-thinkers ‘grew a pizza’ from scratch in one month. 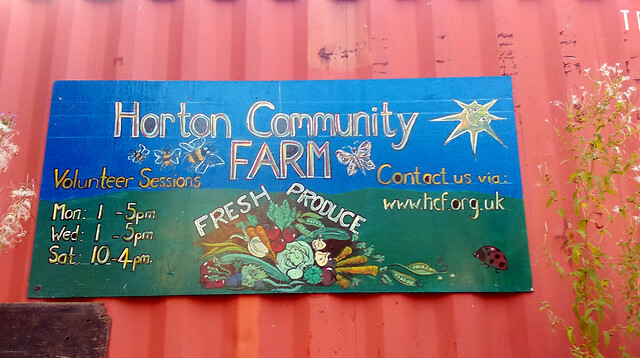 As our climate is a little moodier than Mallorca, the cut to curry seemed, for Horton Community Farm, like a more realistic mission. And where better to do it than in Bradford, the ‘curry capital’? It’s even possible to grow our own lentils here in a favourable summer. We held a humble event, for local people to gather, learn a bit more about the Farm, and plan the Grow Your Own Curry project. The event was part of the Permaculture Ambassadors project, which has been supporting Permaculture Association members to hold local gathering. Jonathan, one of the allotment holders and a green-fingered enthusiast, gave a whistle-stop tour of the gardens, including his own allotment, which is enthused by permaculture. Armed with sunburn and a breath-smell of creamy wild garlic, I pottered on to the community centre. I was welcomed by samosas and pakoras galore, cooked by permaculture-enthusiast, Laura, as well as fresh herbs from the gardens. Laura and I met as participants in the Youth in Permaculture project, in sunny Italy at an oft-dreary December-time. We were snowed into a beautiful ex-monastery that functioned as our lecture-hall, sharing space and living quarters for the week. Here we learned about permaculture principles, and practices like sociocracy, social money and bio-construction. The sessions we partook in were based on the three permaculture ethics: earth care, people care, fair shares. The highlight of that week for me was the ‘people care’ element that was alive in the strong bonds I made with others on the course, initiated from a shared passion for a sustainable future and a love of life. It just goes to show that permaculture doesn’t just grow in the garden – it starts in our hearts. A spanking-hot dahl and curry was followed by a quick conversation with a couple from Keighley, who had been attracted to the event through their shared interest in permaculture projects. Also at the event was a travelling forager from Manchester who could tell you all you needed to know about the trendiest wild pesto ingredients, and which herbs you should steer clear of to avoid a smelly car-ride! After a few earthy chats with the bright-eyed, green-fingered and dahl-mouthed individuals that surrounded me, Charlie began a presentation about the farm. She outlined the aims of the farm, guiding us through its five pillars: education, volunteering, wildlife, horticultural therapy and food growing. Horton Community Farm welcomes a diverse group of people to engage in all of these aspects, including young people and refugees. 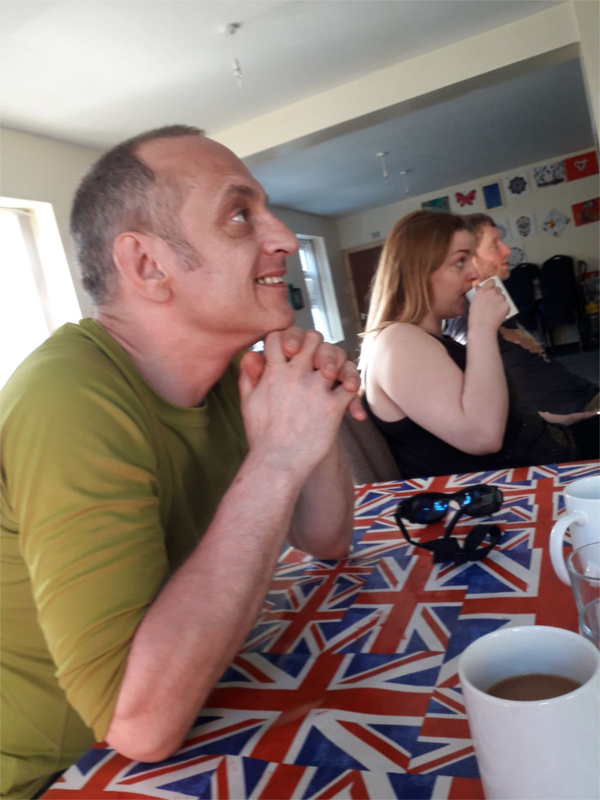 Regular sessions happen on Wednesdays and Fridays and Laura, Johnathan and Charlie will welcome anyone eager to get their hands a little dirty, so why not spend a summer’s day in sunny Horton Community Farm in Bradford, surrounded by inspired individuals who are excited about the future?